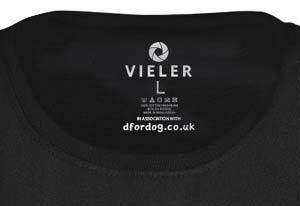 These stunning dog lover hoodies feature amazing photographs by the critically acclaimed dog photographer Christian Vieler. You've probably already seen and admired his work. Now you can wear it! 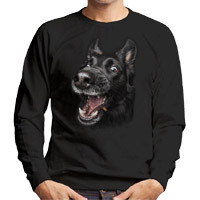 This unisex hooded sweatshirt features a determined Black Shepherd Dog catching a treat. 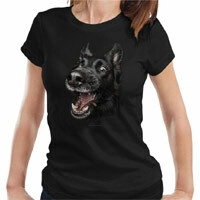 So if you are the proud parent of a Shepherd or you simply love the pure joy of the photographer's work, this is for you! Christian's emotive and hilarious photographs of dogs catching treats went viral across the world and it is easy to see why. They are all totally captivating. 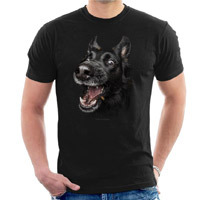 These make the perfect gift for a dog loving friend or why not treat yourself. Great for walking the dog! 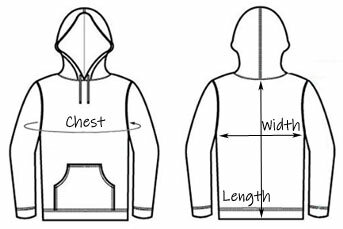 This classic unisex adult hoodie with front kangaroo pouch pocket is from the AWDis range. The quality fabric is 80% Ringspun Cotton, 20% Polyester (weight 280gsm). 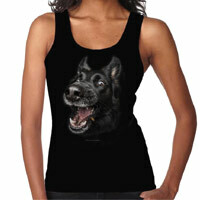 This design is also available as a unisex sweatshirt, short sleeve t-shirt, women's slim fit t-shirt or vest top.